Kreider Commons named LEED Project of the Year by USGBC Central Chapter at the 2017 Forever Green Awards. 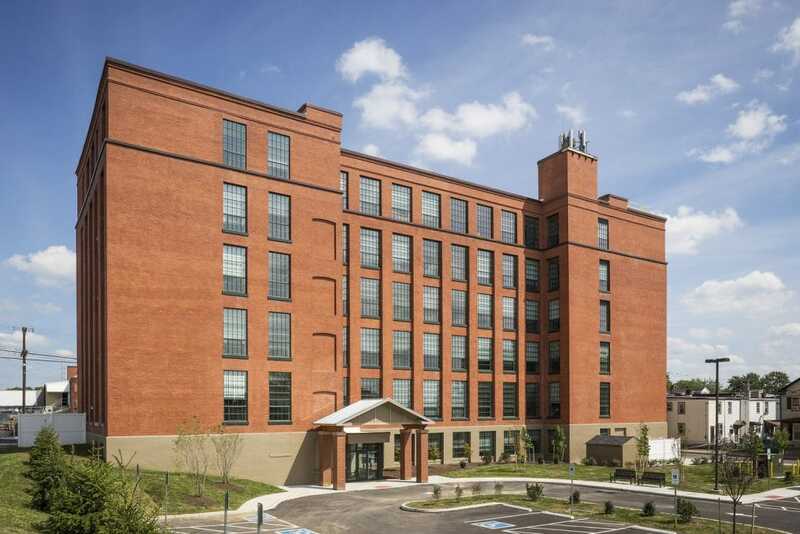 The six-story, 63,000-square-foot former home of the A.S. Kreider Shoe Company in Lebanon, Pennsylvania was transformed into 50 rental apartments for seniors and achieved LEED Platinum certification. The project represents the unique combination of using advanced green building principles in concert with historic adaptive reuse construction. Kinsley completed the project in 2016. The scope of the project included demolition of an existing boiler house, interior partitions and an existing freight elevator. All windows were removed and replaced with Graham Architectural aluminum windows and all brick masonry was repointed and cleaned. 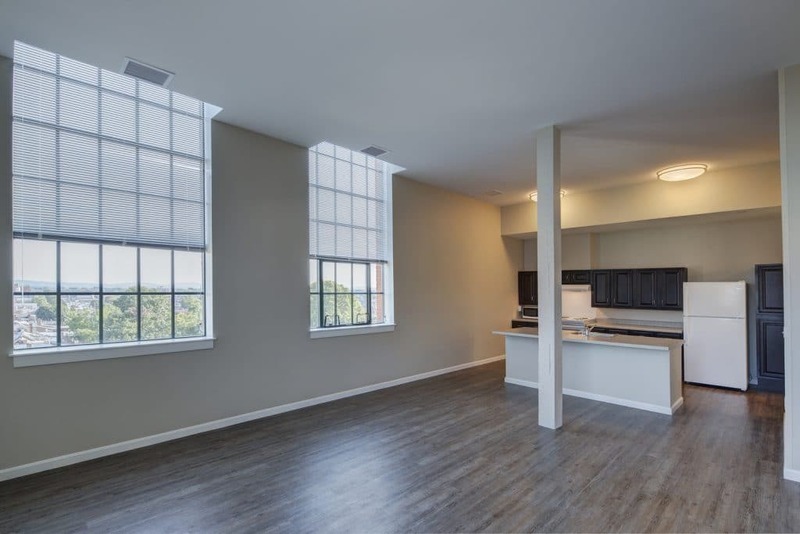 Interior work included all apartment framing, finishes and appliances. In addition, interior wooden stair towers were completely rebuilt, two new passenger elevators were installed and all new MEP and fire protection systems were installed. Although the project was not classified as a historic restoration it was important to the City of Lebanon that the building retain as much of the appearance and character of the original structure as possible. To that end the original wood entrance was rebuilt, exterior light fixtures were professionally refurbished, rolling fire doors were reused and several mechanical items were cleaned up and repurposed as industrial art pieces. The original goal of the project was to achieve LEED Silver certification, however, at completion, the project earned enough LEED points to achieve Platinum certification. • New aluminum and glass window units. • Energy efficient MEP systems. • “Energy Star” rated appliances. • Rooftop solar panels designed to offset total average hot water energy usage which exceeded minimum PFHA requirements. Initial project estimates exceeded the maximum allowable budget. By working in collaboration with Marks Thomas Architects during the preconstruction phase, Kinsley suggested a number of scope and design changes which allowed us to reduce the overall cost by three percent, which was enough to make the project financially feasible. As with any adaptive reuse project the biggest challenge was the unknown. As the demolition phase began, an underground fuel tank was discovered and had to be removed along with the contaminated soil surrounding the tank. Addition asbestos was uncovered and remediated. Both items were completed with no delay to the project schedule. 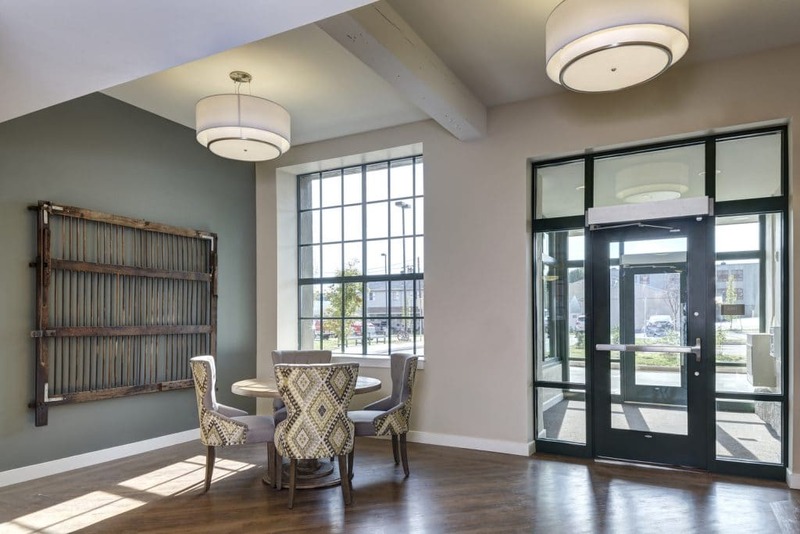 The success of Kreider Commons allows the owner to continue their corporate mission to provide affordable opportunities in multifamily housing, senior communities and single-family homes. In addition, the City of Lebanon benefited from the preservation of a historical building which represents its industrial heritage, revitalizes the surrounding neighborhood and adds an underutilized property back onto the tax rolls.